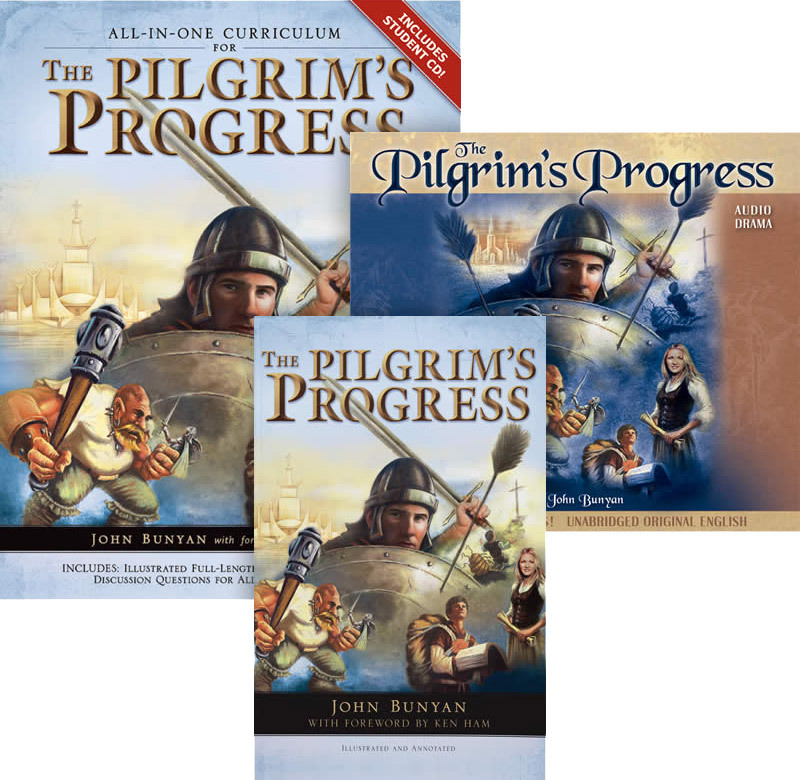 This curriculum pack, based on John Bunyan’s classic allegory, will challenge you and your children and help build a love for the truth and authority of the Bible. Great for homeschool, family devotions, Sunday schools, and personal or small group studies! Includes reproducible student pages on bonus CD-ROM. 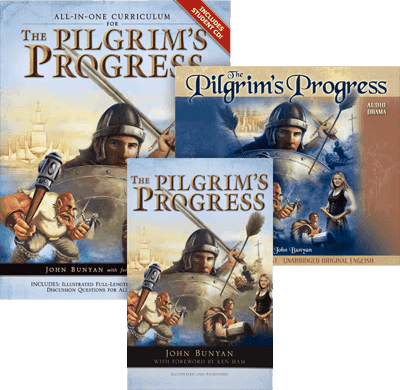 This fully dramatized audio presentation of John Bunyan’s classic book, The Pilgrim’s Progress, features over five hours of exciting oral interpretation. Unabridged original English. John Bunyan’s classic text and Scripture annotations plus all the great illustrations from AiG’s curriculum. Get one per student. Follow the text and color the illustrations.